While discussion of braking advancements such as automatic emergency braking often focus on consumer-centric applications such as the autonomous features included in new Tesla vehicles, the commercial trucking market is a likely site of innovations of all kinds. After all, heavy trucks are designed to perform strenuous duties, day in and day out. These vehicles spend huge amounts of time on the roads, and the manufacturers and operators responsible for putting them on the road put plenty of effort into their creation. The following are a few of the trends circling the work vehicles sector, from the introduction of new assets to the potential deployment of systems that could revolutionize the space. The quest to bring innovation to truck braking is a push and pull between the status quo, defined by current tech limitations and regulations, and the potential advancements coming down the pipeline. A lot of the discussion in the trucking sector today concerns driverless vehicles. Could these automatic vehicles soon be cruising the highways? One of the concepts indelibly tied to the rise of automated trucks is the development of highly sophisticated braking tech that will be able to stop trucks in both emergency and everyday situations. That said, in a recent interview with The Oregonian, Daimler Trucks CEO Roger Nielsen noted that his company views its braking development as a prelude to its autonomous vehicle push. While the present-day truck market doesn't yet have the organizational or legal frameworks to support driverless vehicles, advanced braking solutions are much closer to reality. Nielsen stated that Daimler is developing tech for use by drivers, including active brakes and lane control solutions, that will one day form part of the equipment on automated vehicles. There is a straight line between improving modern vehicles and getting ready for a more heavily automated future. While the robot-driven future is a topic of excitement in the heavy automotive sector, there is plenty of room for incremental upgrades to braking processes that will give this year's models a leg-up on last year's versions. Heavy truck manufacturers know that since their vehicles are typically bought in bulk, a few salient upgrades can result in huge amounts of interest from fleet managers. Equipment World recently reported on the changes Ford has made to its medium-duty trucks for the 2018 model year. The source pointed out that traction control brakes are being added to the 2018 F-650 and F-750 lines. These vehicles, in addition to this new standard feature, sport a few advantages from the 2017 model, including a transmission that can further aid in braking performance. With engine braking and selective gearing, the trucks are less susceptible to brake wear than they would be otherwise. 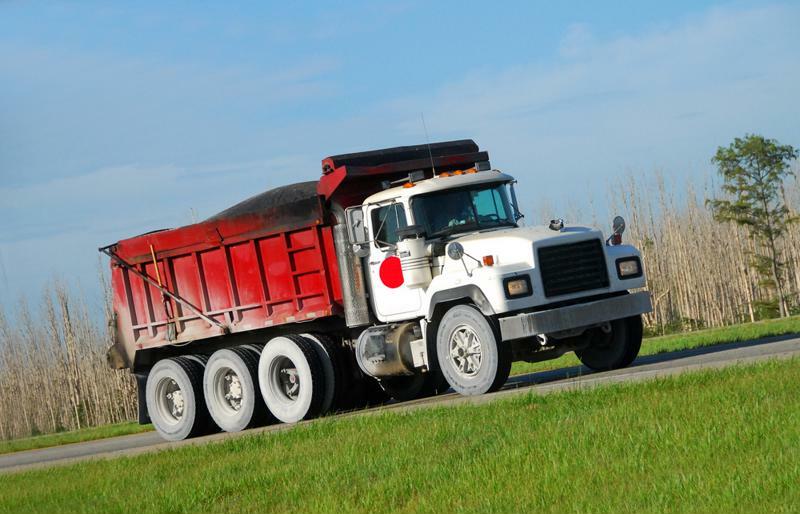 These chassis types are meant for hard work carrying containers on local hauls or acting as dump trucks on work sites, meaning reduced wear could seriously enhance their longevity and therefore value. As alternative power sources become available to the trucking sector, new braking innovations will come along. Trucks.com pointed out that Wrightspeed, an electric-vehicle specialist firm, is putting effort into improving regenerative braking, severely reducing the wear on their systems. This is seen as a tremendous boon in the high-mileage work vehicle sector. The company's product manager Alan Purdy noted that while some regenerative braking is in place on all electric cars and trucks, Wrightspeed has improved the technology. The new version of the system is based around a proprietary gearbox which transfers the force from braking into the motors. As mentioned in the Ford example, innovations that limit the wear on commercial vehicles' brakes can become a selling point. Fleet managers who see a chance to replace parts or whole trucks less frequently are liable to give that opportunity a look. Medium and heavy vehicles have their own braking needs. A matter of public safety? The wider introduction of automated braking, a matter which has already been legislated in several territories around the world, could prevent issues beyond everyday collision risks. As The Telegraph pointed out, automated braking features stopped the vehicle that was used as a weapon in a late-2016 attack against pedestrians at an outdoor Berlin market. The news provider pointed out that someone determined to harm others with a vehicle could theoretically disable an automated braking system, and that such technology couldn't prevent all the damage from such an incident. However, with trucks being considered as weapons, features that could make them less effective in this capacity have obvious value. The Telegraph pointed out that automated braking has become standard in Europe on new trucks – will this save lives? From systems specifically meant for electric vehicles to autonomous tech that can be the building block of a self-driving truck, development remains a subject of intense focus in braking. Manufacturers working on new systems can begin their process with a complimentary brake testing consultation from Greening, to see where they should focus their efforts.